Members have been in Guam since the 1940s. The first Church members on Guam probably came as members of the armed forces during World War II. Guam branches (a small congregation) of from 50 to 300 servicemen began functioning in 1944, acting under the Far East Mission. In 1945, four groups were organized on the island. On one occasion, they dedicated the graves of fallen Church servicemen. In 1951, fund-raising events by the members raised enough money to purchase land and two Quonset huts, which they used for a chapel and classrooms. The facilities were dedicated in 1953 and Guam became a dependent branch of the Oahu Hawaii Stake (diocese). Missionaries arrived in August 1957. As members increased, land for another meetinghouse was purchased. A new meetinghouse in Barrigada was dedicated 10 March 1970, and the Guam Branch became a ward (a large congregation). Open houses were frequently held, but few joined the Church. In May 1976, the Guam Ward was divided. The first Chamorro couple to join, Don Calvo and his wife, Maria, were baptized in May 1977. The Agat Branch was created in 1978. And in 1979, Herbert J. Leddy, the first missionary of Chamorro lineage, was called to the Tennessee Nashville Mission. The Micronesia Guam Mission was created 1 April 1980. In June, the Guam District was created with four branches. 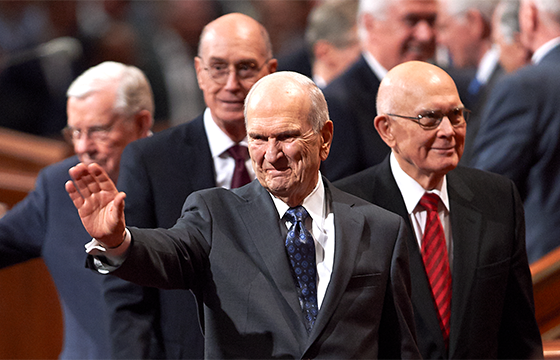 In 1989, selections of the Book of Mormon: Another Testament of Jesus Christ were translated into Chamorro, and the same year, Herbert J. Leddy became the first Chamorro member to be called as district president. Membership in 1995 was 1,400.